Aaron Jay Kernis: Before I’m actually awake, and before I check the news, I imagine/lucid dream that I still live in a time where we have a progressive, articulate president and gov’t, where laws that protect our world and people are in place, or that Pres. Obama is still in office. Then quickly reality returns, and I have to try to forget once again in order to give myself some good hours or thinking before I get furious and feel defeated all over again. AJK: Sriracha sauce. If the seasoning is off, adding a pinch solves everything. In music, so it may be to use my favorite part triad/part cluster chords… they give spice to the sound, and create both a center of gravity and a special aura around it…. AJK: Can’t have just one – Silence by John Cage, and My Struggle by Karl Ove Knausgaard. If you want to know why, you’ll have to ask! AJK: No, but it’s too too close to my bed (or around all the time) even so. AJK: It’s on 16/24, and I tend to respond immediately. An addiction, for certain, looking for affirmation, and distraction from concentrating on my work. AJK: Read, nap, walk and dream, or eat chocolate (see above). AJK: I’m burned out right now, that’s why I’m distracting myself by taking this…. about every fourth piece I write, the flow gets interrupted and I take it out on myself for a while. Happening just now…. AJK: My definition of fail = mediocre or boring. I’ve had a good run of happiness with my work, but at the moment I’m confronting all of those old demons that appear when I’m worried about being mediocre. So I keep working and working until it gets better, or I’m too tired to know any better, or I have some chocolate, or play with my kids until the idea of failure is re-learned as purely self-indulgence. 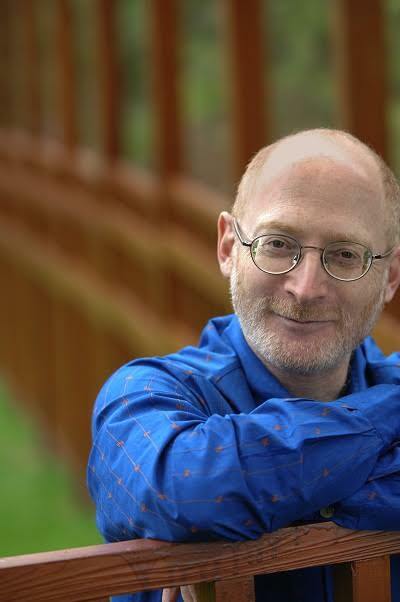 Aaron Jay Kernis is a Pulitzer Prize winning composer, a pianist, conductor, mentor and professor of composition at Yale School of Music.